LONDON (AP) — In past skirmishes with local regulators, Uber’s playbook under co-founder and now-ousted CEO Travis Kalanick was simple: fight. Now, as brand-new CEO Dara Khosrowshahi deals with a stunning rebuke from London, the playbook gets another page: fight, but offer some diplomatic humility. On Friday, just hours after Greater London’s transport authorities decided not to renew Uber’s operating license, citing a lack of corporate responsibility, Uber wound up for its first punch. Almost reflexively, it followed the familiar tactic of recruiting its mass rider base for help, starting an online petition drive to pressure regulators that now has more than 770,000 signatures. It also promised appeals and defiantly accused regulators of caving in to Taxi interests. It remains to be seen which strategy will work best, and Uber also runs the risk of antagonizing London officials by sending the mixed messages. But deviating from Kalanick’s approach is exactly the right tactic for Khosrowshahi, says Jan Dawson, chief analyst for Jackdaw Research in California. Conciliation, he says, likely will require concessions, but also will bring peace in a huge market with 40,000 drivers and 3.5 million riders — over 5 percent of Uber’s ridership base of 65 million globally. “The fact that Uber is so mature and broadly used in London means it’s very unlikely that it will be permanently banned there — the political fallout would just be too great,” Dawson said. As Uber grew at lightning speed during the past seven years, it often entered U.S. cities without permits. When taxicabs complained, Uber defiantly kept hauling people. Usually Kalanick’s tactics prevailed. It worked in Chicago as recently as last year, where Alderman Anthony Beale, who fought unsuccessfully to more tightly regulate Uber, said the company used Uber riders and political connections to win — at least so far — a fight over fingerprint background checks of drivers. Mayor Sadiq Khan welcomed the apology and was pleased to see the company acknowledge issues. Transport for London, the regulatory body, said last week it wouldn’t renew Uber’s license when it expires Sept. 30. Uber can continue operating while it pursues an appeal. “Even though there is a legal process in place, I have asked TfL to make themselves available to meet with him,” Khan said of Khosrowshahi. The row leaves an opening for Lyft, Uber’s much-smaller rival that has designs on growing outside of the U.S. Lyft has talked with TfL, but the company won’t comment on expansion plans. Uber has struggled with a series of scandals this year, ranging from accusations of sexism to suggestions that it used software to hide information from regulators. Transport for London said it wouldn’t renew Uber’s license because the company isn’t “fit and proper” to operate in the city. Uber didn’t report serious criminal offenses, including a sexual assault, to London police, authorities said, and failed to conduct proper driver background checks. The regulator also cited Uber’s use of a phony app to deceive regulators in the U.S. Some Uber supporters say the critique is a smokescreen for a politically motivated decision to appease London taxi drivers, not protect public safety. 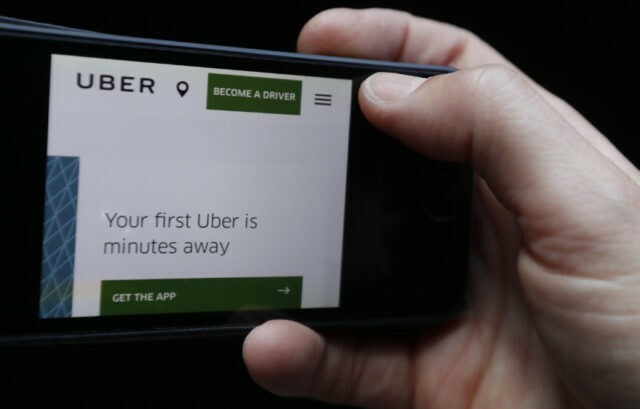 Uber has long been a target of cab drivers who complain that its drivers don’t have to comply with the same licensing standards, giving the ride-hailing service an advantage. Abs Dawodu, a London resident, said that forcing Uber off the streets of London would remove a lower-cost alternative to traditional black cabs. “I can get an Uber for an hour, and if there is two of us, it’s 20 pounds, whereas if it’s a black cab and you go across London it’s going to be a lot more than that,” he said. John Colley, a professor at the Warwick Business School, points out that Londoners have other options to black cabs, including pre-booked car services such as Addison Lee. He doubts Uber will be able to demonstrate that it has changed its ways because Kalanick remains on the board and has a large ownership stake. “In the short term, expect plenty of PR, but the prospects of the culture changing while Kalanick is still there are slim,” he said.